Huge, beautiful and incredibly graceful animals. The true kings of the ocean and you got to swim with them! 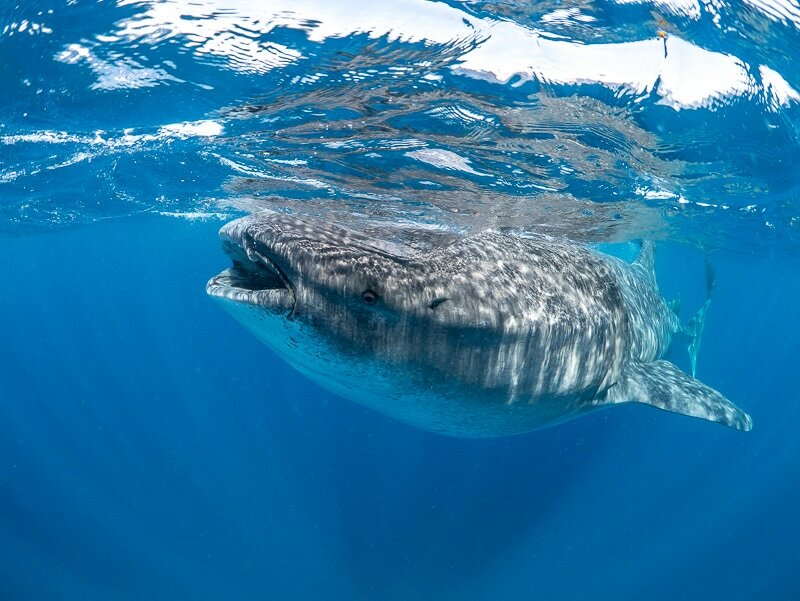 Whale shark tours became "huge" in the last ten years, not only in Mexico but every spot around the globe where there is a chance to find them. It is easy to see why: to swim with a whale shark which is the size of a bus is a humbling and truly "once in a lifetime" experience. So being honest Cancun is not the only place to do this tour, but it is one of the best places to do it, and if you are around you have to try it! 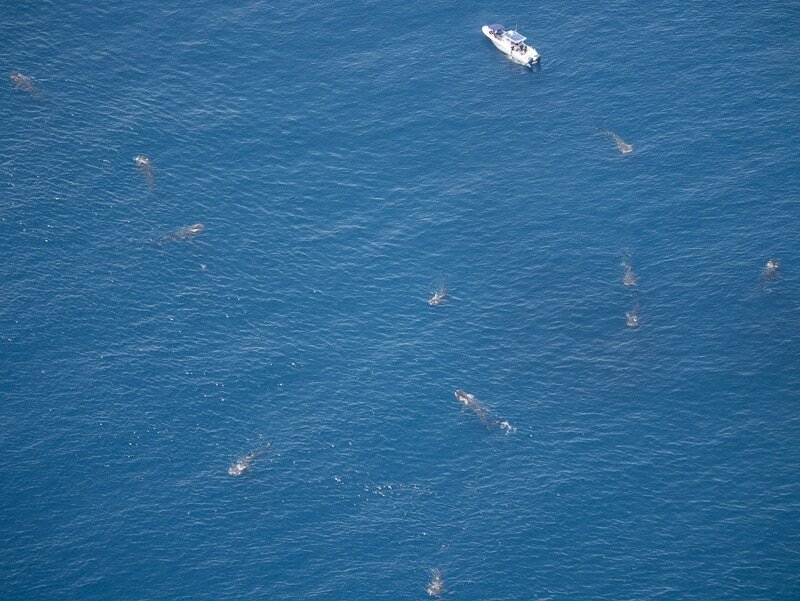 We have the biggest whale shark aggregations ever recorded in the world, hundreds of individuals feeding at the same time, same area. 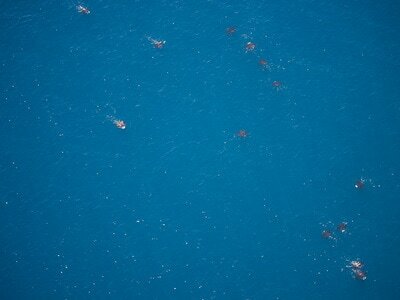 Sometimes the whale sharks are sharing their space with manta rays, mobula rays, dolphins and other pelagic species. Barna started guiding Whale Shark tours in Mozambique, Africa where he worked together with the Marine Megafauna Foundation. On the tours, we took out marine biologists to help with their plankton sample collections, photo identification, and other research methods. 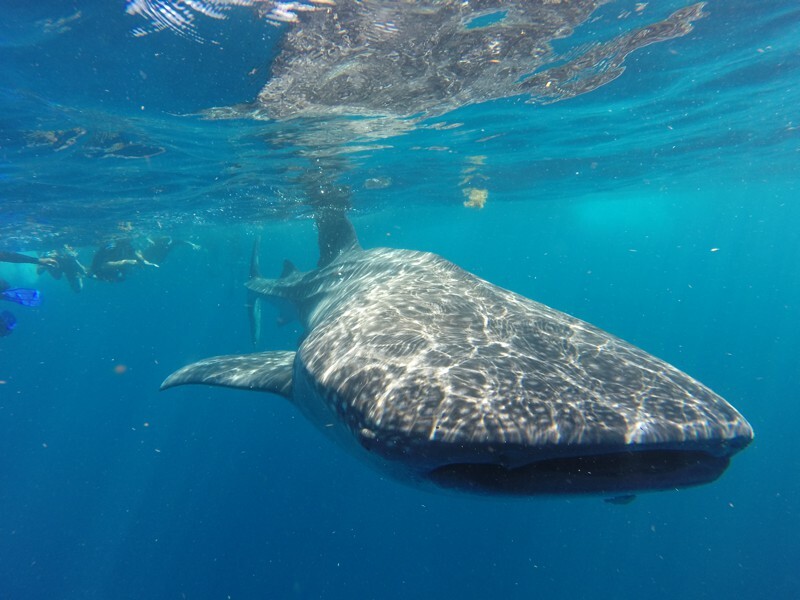 The country changed, Barna is working now in Mexico but he is still regularly submitting his identification photos to the scientists, and he is still in touch with various international Whale Shark researchers. In 2014 we did record a pregnant shark close to Isla Mujeres, and in the same year, we managed to photograph a shark which was never recorded before. A mind-blowing experience where we humans are the "minority." 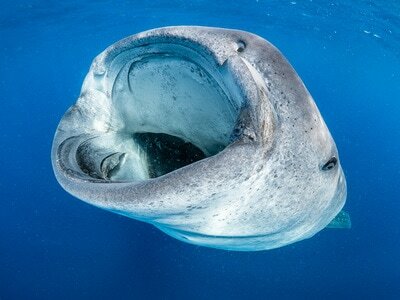 Between every June and August Cancun transforms to the Whale Shark capital of the world. 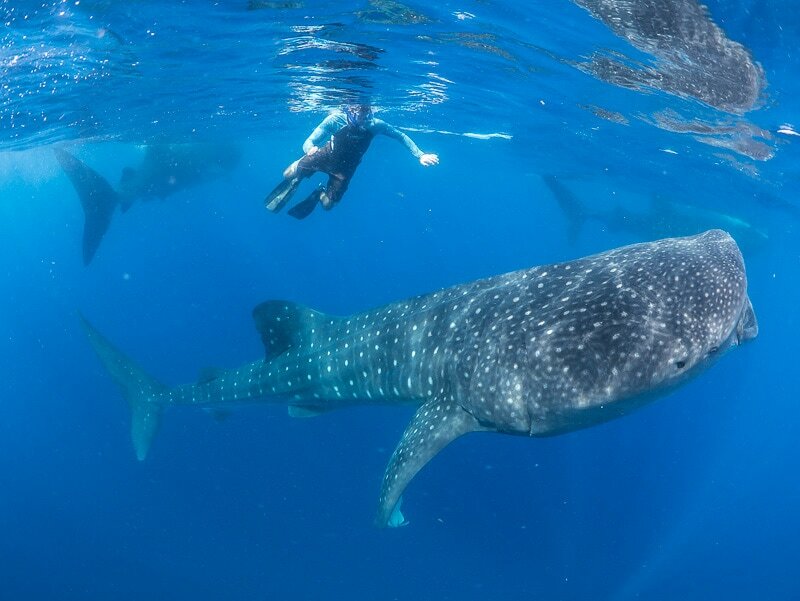 We offer tours every single day to be able to swim with these gentle giants. This is the world’s biggest known Whale Shark aggregation, and it is happening every single year, so your chances to see the biggest fish in the world will not get better than this. The day starts early, after a quick breakfast in the marina you head out by boat to look for the Whale Sharks. They are always around, but every morning the first boats have the exciting job to find out where exactly they are that day. Sometimes it takes one hour, sometimes a little bit longer, but I personally never missed them before. You are looking for large dark shadows just under the surface and dorsal fins and tails moving slowly meanwhile breaking the surface of the water. Usually, you will spot one animal at first, and it is hard to stop looking at it. Just the size of it makes you wonder, how it will react if you get in the water. 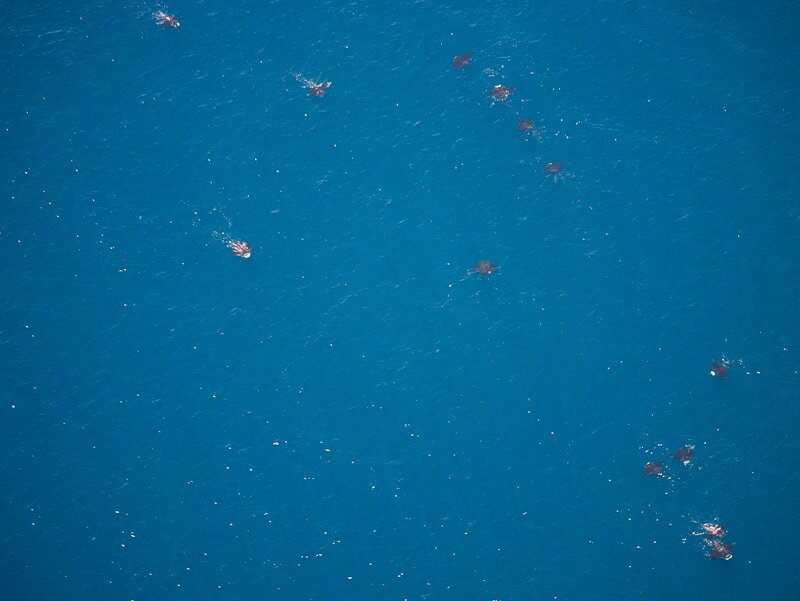 When you manage finally to look around, you realize there are more sharks. Many more. 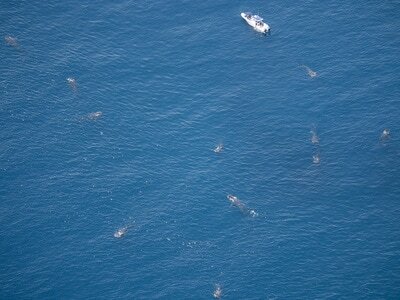 I had trips when I saw more than fifty sharks for sure. You prepare to get in the water, get in the wetsuit, or life jacket, mask and fins on, and jump. Maximum two people with one guide in the water, and following all the regulations, respecting these magnificent animals in their natural habitat. The captain shows you which way to swim, so you head that way following your guide, staring front of you, not knowing what to expect. Usually, whatever you expected, it is nothing compared what you feel on the very first encounter. Your first Whale Shark is always much bigger than anything you pictured, and if you are lucky to meet one which is swimming directly towards you… You will feel you got almost run over by a spotted swimming-bus. Swimming side by side with ten meter long (thirty feet) creatures is one of the most humbling experience in this world and one which every single visitor of the Mayan Riviera should experience once. 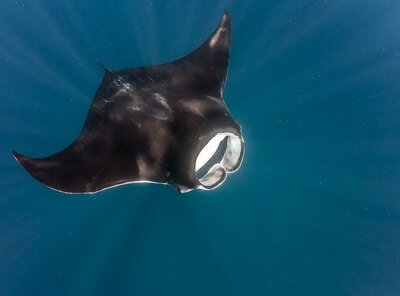 If you are lucky, you will be rewarded by the sight of the oceans most elegant creatures, the Manta Rays. On some of the tours we bump in to one or more Mantas (I have seen over thirty as well in a single tour) and rarely, but every year we have schools of Devil Rays, Golden Cow Nose Rays, and Atlantic spotted Dolphins upgrading an already fantastic tour to a lifetime experience even to the experienced guides.